MKE Studio Share provide studio rental, client meeting space and photography workshops to the modern professional photographer on a flexible basis. 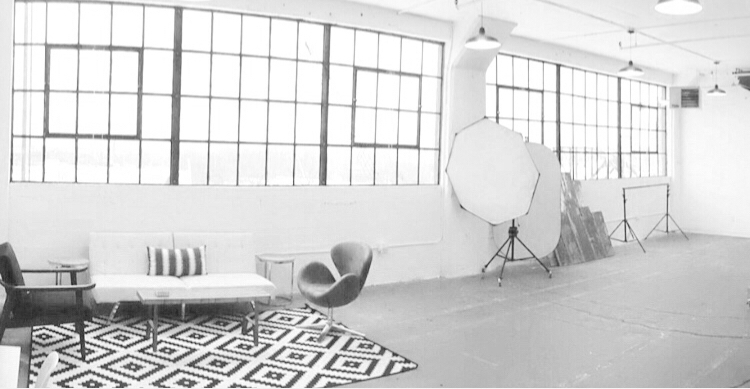 This is not your typical studio --- gorgeous natural light is readily available. Modern backdrops, lighting equipment, other supplies and props are all provided. All you have to do is bring your camera and clients! Many photographers have abandoned the headaches and expense that come with maintaining a full-time studio, choosing instead to operate out of their homes. Although a home studio can be convenient, a unique studio space fuels creativity, encourages artistic freedom, and gives a heightened sense of professionalism to your clients. That’s where we come in. For a low monthly fee, studio share members gain access to the studio with an easy online reservation system, as well as a generous number of studio dates each year. The studio is stocked with a mix of modern and vintage furniture, a wall mounted backdrop system with assorted backdrops, and professional lighting equipment. The studio is also fully equipped with a comfortable client meeting space. It provides a professional environment to create beautiful photo shoots, meet with new and potential clients, preview proofs, and display print purchase options. Our convenient studio also give you the flexibility you need to be creative and capture your best photographs. Shoot in the space as is or create a set and offer mini sessions. Reserve it as a meeting space for client consultations, instead of your living room, home office, or a bustling coffee shop. Use the studio as a starting location for a day of outdoor shoots, or book the studio as a backup in case of uncooperative weather. Our studio is whatever you need it to be! Fill out the contact form today to schedule a tour of our unique studio space!